It’s that time of the year again. College basketball aficionados will once again find their afternoon TV viewing experience more fun and more action packed as the UAAP Season 77 Men’s Basketball Games commence on July 12, 2014 (Saturday) at the Smart-Araneta Coliseum. 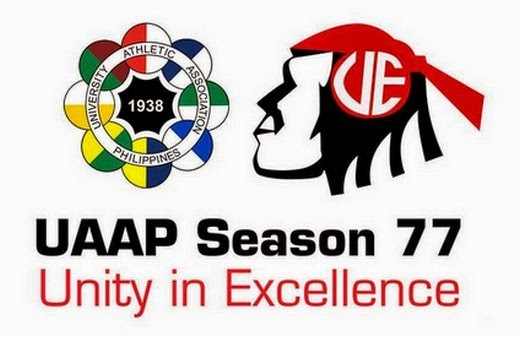 This year's host the University of The East chose "Unity in Excellence" as UAAP Season 77's theme. Indeed, the 8 participating teams unite in one common goal, to become excellent competitors on and off the court. Speaking of the teams, when you take a look at their respective line-ups/rosters, you will see the level of excellence that they put in building their squads leading to the UAAP Season. * Take note that all of the UAAP Season 77 Men’s Basketball Matches will be aired live on ABS-CBN Sports channel 23.